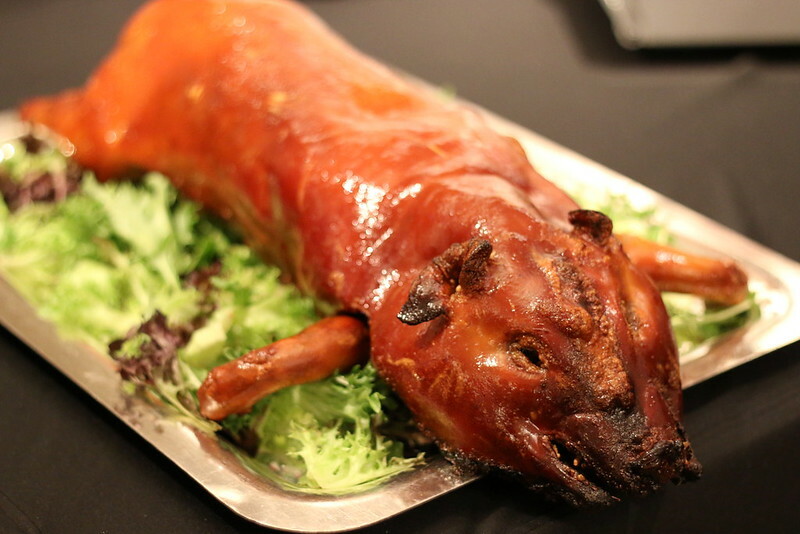 The ‘live’ stations will see chefs carving up treats such as Oven-roasted Suckling Pig stuffed with Glutinous Rice and Chinese Sausage, Eight-treasure Chicken Wrapped in Lotus Leaf, and Oven-roasted Goose with Chinese Herbal Dang Gui. Seafood lovers can indulge in lobsters, prawns, scallops, freshly-shucked oysters, and sashimi. Finish off with Mango Pomelo Sago and Deep-fried Nian Gao, or the unique Osmanthus Cake. If you prefer to celebrate in the comfort and familiarity of home, The Westin Singapore has some lovely festive CNY takeaways. In line with the hotel's focus on healthy living, it's offering a SuperFood Yu Sheng showcasing salmon, salmon roe, honey roasted walnuts, pomegranate, dried oranges and berries alongside roasted sesame seeds, salmon skin crackers, and calamansi, topped off with a generous drizzling of blueberry and sour plum dressing and extra virgin olive oil. 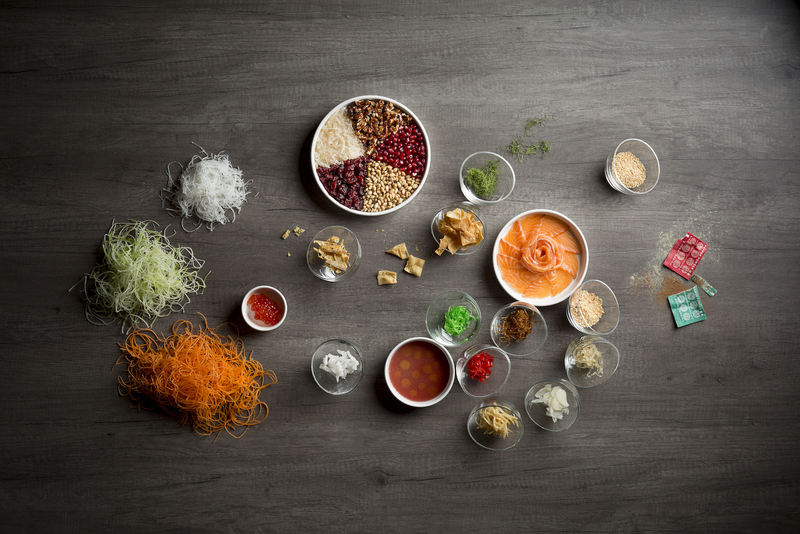 There are many yusheng options for takeaway. 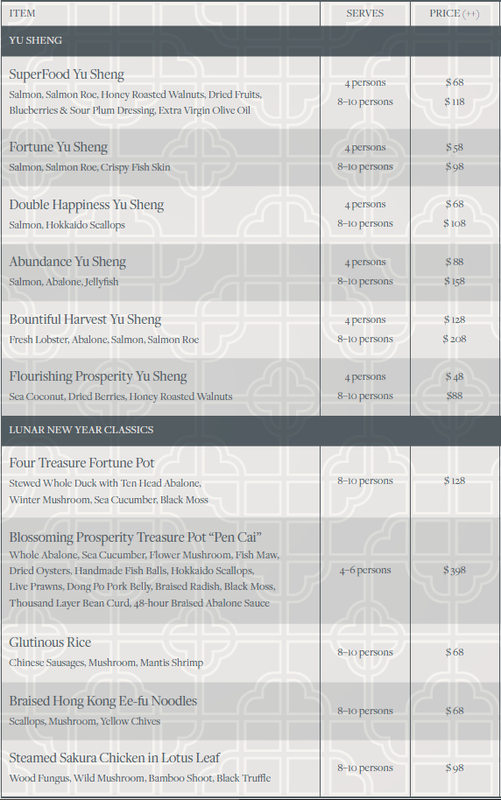 You can click the listing below to go to the CNY ordering site. 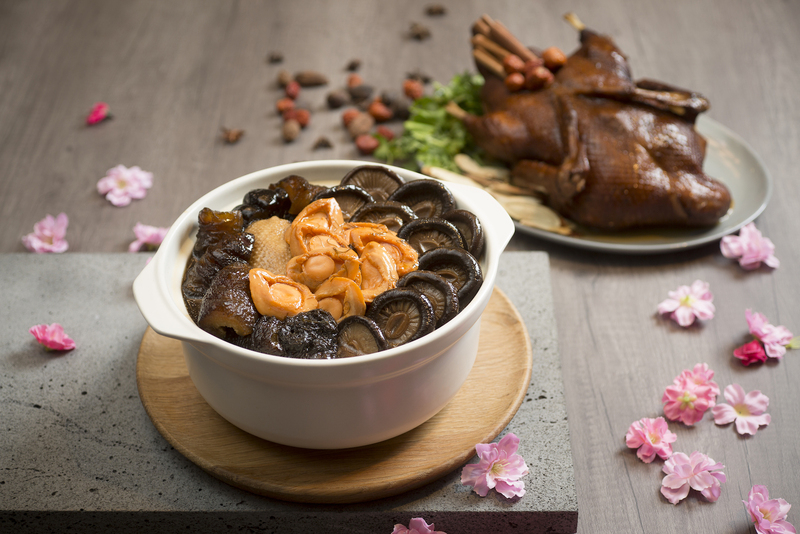 Or let the Four Treasure Fortune Pot (S$128++, serves 8-10) take centerstage with a stewed whole duck alongside ten head abalone, winter mushrooms, sea cucumber and black moss. Their traditional treasure pot Pen Cai (S$398++, serves 4-6) is filled with decadent layers of whole abalones, sea cucumber, mushrooms, fish maw, dried oysters, handmade fish balls, Hokkaido scallops, live prawns, roast duck, roast chicken, dong po pork belly, braised radish, bamboo shoots, black moss and bean curd. Man Fu Yuan at InterContinental Singapore has new dishes like Chilled Marinated South African Fresh Abalone in half shell with Goma Sesame Sake Dressing; Steamed Boston Lobster with Egg White and Chinese Rice Wine Consomme; and several excellent double-boiled soups, but the highlight has got to be their Barbecued Whole Suckling Pig with Glutinous Rice. For takeaways, there's a Black Truffle Yusheng (S$138++ Large), a Supreme Treasures Pot with 18 ingredients (S$398++, serves five), and a Double-boiled Pig Tripe Soup with Seafood (浓汤猪肚海皇煲). Priced at $128 for 5 persons, the claypot comprises ingredients such as Sri Lankan Crab, Prawns, Chicken, Pig Stomach, Chestnuts, Gingko Nuts and Barley, double-boiled for 6 hours. 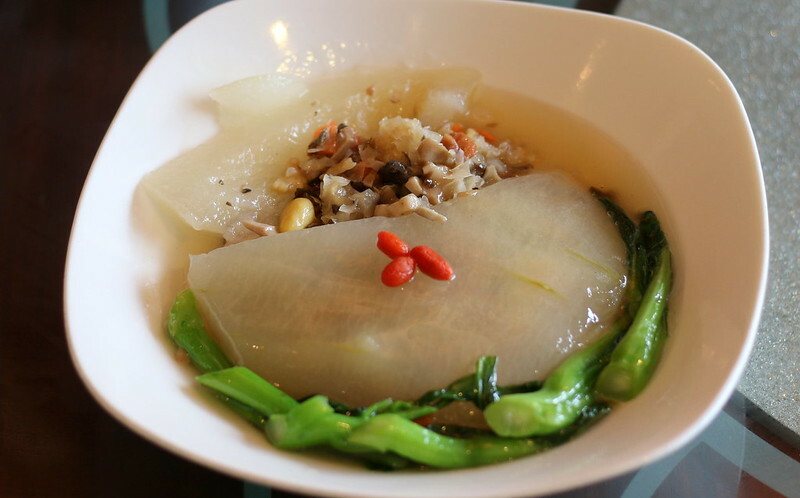 Szechuan Court at The Fairmont Singapore is a stalwart in Sichuan and Cantonese cuisine. 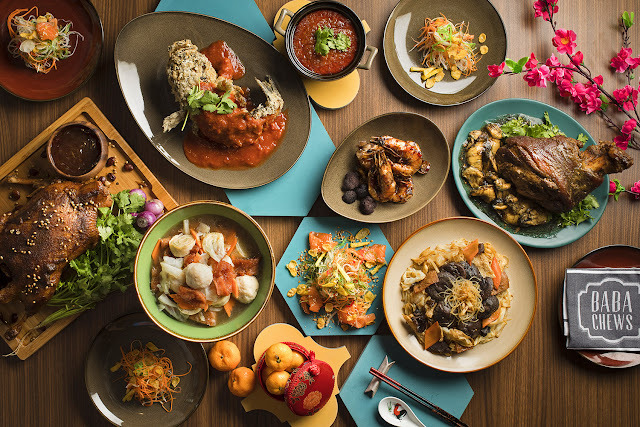 This year, the lunar new year offerings include Yusheng with Snow Crab (S$88++), a vegetarian yusheng with coconut pulp (S$58++), the Prosperity Pot of Gold pen cai (from S$488++), Double-boiled Soup with Fish Maw and Lobster (S$58++ per pax), Wok-fried Pork Belly Ribs with Chef's special sauce (from S$36++) and this incredibly moreish stuffed Winter Melon with Superior Mushrooms and Brown Fungus (S$32, photo above). For a colourful Peranakan twist, try Baba Chews CNY set lunch/dinner menus priced at S$188++/S$228++ (serves 3 to 4 persons), S$388++S/$468++ (serving 7 to 8 persons) which feature Pork Knuckle Pongteh (Nonya dish of pork braised in a fermented soy bean sauce) with Dried Oysters & Fatt Choy, Nonya Fried Soon Hock (Marble Goby) and Sautéed Scallops with Chap Chye (Nonya stewed vegetables). For the premium menus (S$228++ and S$468++), Chef Alvin delights with a fresh twist in the Udang BBC Tiga Rasa, a Nonya-inspired stir-fried prawn dish infused with a special three-flavour – a hint of sweetness from an Indonesian sweet sauce, tangy zest from pickled ginger and savoury taste from the Baba Chews’ homemade rempah. If you're tired of Chinese food year after year, take a look beyond the normal restaurants. 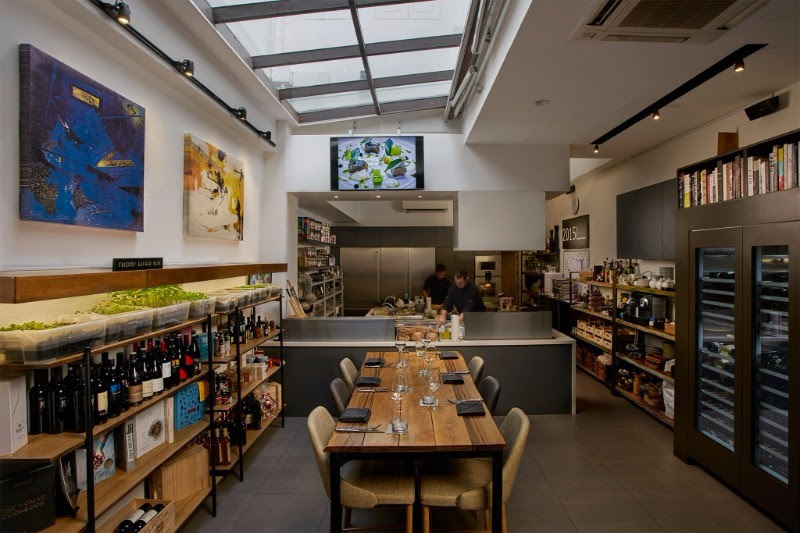 Austrian chef Stephan Zoisl is known for putting together bespoke dining menus at Chef's Table, using a grid of 28 ingredients. For Chinese New Year, he's composed a multi-course menu featuring Hokkaido scallop ceviche, truffle and topinambour (Jerusalem artichoke/sunchoke), Alaska salmon, abalone risotto, roast duck, black Angus beef, Buddha palm, and a mandarin orange "Bombe Alaska" for dessert. Five courses run S$148+, and eight courses go for S$188+. Call 6224 4188 or email chefstable@2015L.com for info and reservations. Many thanks to Westin Singapore for providing photos and making this possible.